FILE - In this May 28, 2013 file photo, New Jersey Gov. Chris Christie greets President Barack Obama upon his arrival at McGuire Air Force Base, N.J.
WASHINGTON (AP) — The politics of natural disasters can be tricky for a president. Long before President Donald Trump tossed paper towels to storm-stricken Puerto Ricans and denied Hurricane Maria's official death toll, his predecessors struggled to steer the nation through life-and-death emergencies. To project empathy without looking weak. To show both command and cooperation. To put the focus on victims — but provide leadership, too. Trump is not known for shows of empathy and relishes fights he thinks will resonate with his core supporters. That includes a bitter and lasting brawl with Puerto Rico in the year since the U.S. territory was devastated by Hurricane Maria. He also has grappled with getting it right in ruby-red Texas and Louisiana after Hurricane Harvey, which dumped nearly 50 inches of rain near Houston. Trump's first post-Harvey trip to Texas generated blowback for his failure to meet with victims of the storm. Four days later, he returned — and urged people at a Houston shelter to "have a good time." He also cheered on volunteers and emergency workers and handed out hot dogs and potato chips to residents. Some critics said the president's trip took on the tone of a victory lap for successful disaster management. Trump has had trouble keeping facts right about the devastating storms under his watch. In June, Trump said on a conference call that the Coast Guard had saved thousands of people while Houston was under water, including what he suggested were hurricane gawkers. "People went out in their boats to watch the hurricane. That didn't work out too well," the president said. There is no indication the Coast Guard rescued foolhardy storm watchers drifting off the Texas coast. Then there's Puerto Rico, flattened by Maria as a Category 4 storm nearly a year ago. Trump pumped two fists in the air when he landed in San Juan last October. 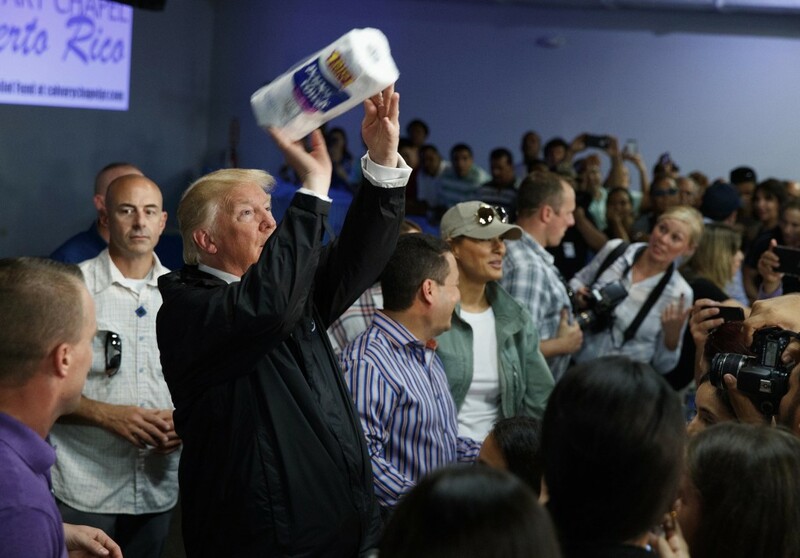 The enduring image was of Trump at a San Juan church lobbing paper towels into the crowd as if shooting baskets. At the time, it seemed to reflect Trump's brand of playfulness. Many people in the crowd smiled and raised their phones to record the moment. But critics quickly dubbed it inappropriate for the massive, grim crisis at hand. A year later, the official death toll from the storm stands at 2,975. Even as Hurricane Florence approached the Carolinas this week, Trump rejected that count and griped that it's the product of Democrats trying to make him "look bad." He also tweeted that San Juan Mayor Carmen Yulin Cruz, a frequent Trump critic, is "incompetent." "The victims of Puerto Rico and the people of Puerto Rico in general do not deserve to be questioned about their pain," said Gov. Ricardo Rossello. On Oct. 29, 2012, Hurricane Sandy made landfall in Atlantic City, New Jersey, and became the costliest storm in U.S. history behind Hurricane Katrina in 2005. Republican Gov. Chris Christie invited Democratic President Barack Obama to view the storm damage, and when the president arrived, the two shared a friendly, widely photographed greeting. 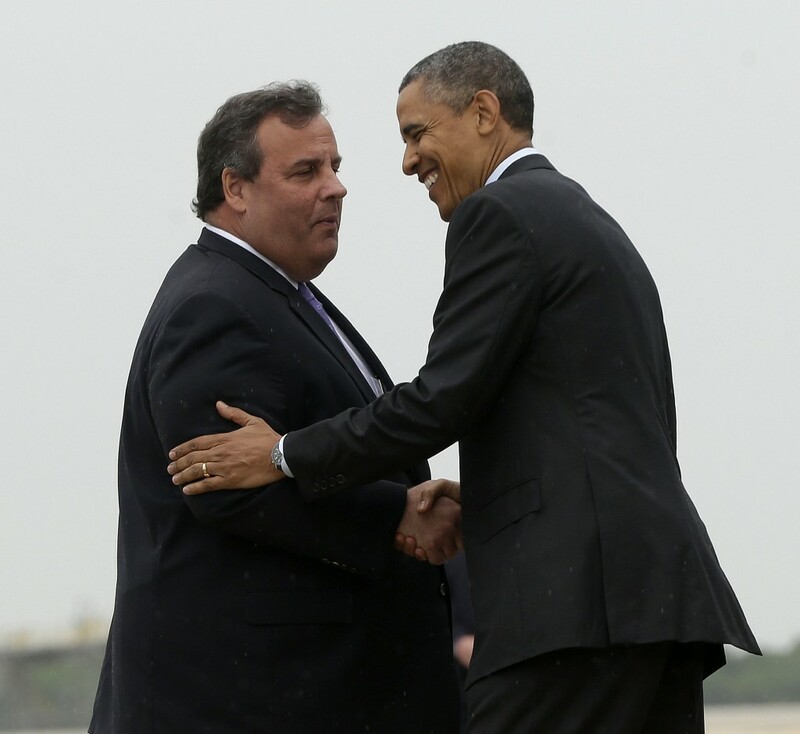 At one point, as the two shook hands, Obama put his left hand on Christie's right shoulder. The resulting image was derided by some conservatives as a "hug" — and a potential re-election boost for Obama when he was being challenged by Republican Mitt Romney. The storm is blamed for 182 deaths and cost about $70 billion in New Jersey and New York. It was one of several natural disasters that gave Obama the opportunity to play the traditional role of comforter-in-chief. A year earlier, a tornado devastated Joplin, Missouri, with winds up to 250 mph and claimed at least 159 lives. Obama visited the moonscape of rubble and tree stumps, and delivered an emotional memorial service speech in which he told the stories of heroic efforts by individuals during the storm. "It's in these moments, through our actions, that we often see the glimpse of what makes life worth living in the first place," Obama told the crowd. President George W. Bush, praised for his leadership after the Sept. 11, 2001 terrorist attacks, stumbled during what proved to be the government's inadequate response to deadly Hurricane Katrina four years later. 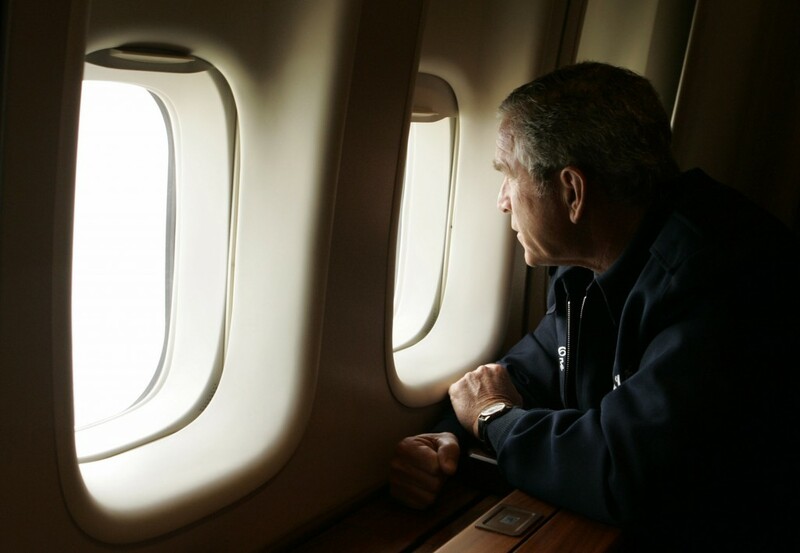 Heading back to Washington after nearly a month on his ranch, Bush had Air Force One fly over part of the devastation, giving him a view of it from high above. The moment was preserved in photographs and generated criticism that he didn't come in person. "Brownie, you're doing a heck of a job," he told FEMA Director Michael Brown, three days after Katrina flooded New Orleans. The storm left 1,800 people dead and caused $151 billion dollars in damage. Much public blame went to the Bush administration for a too-slow response. Together, the vacation, the high-altitude tour and Bush's "Brownie moment" left a lasting impression that the president had been detached from the tragedy on the ground. In his 2010 book "Decision Points," the former president reflected on his mistakes during Hurricane Katrina, writing that he should have urged the evacuation of New Orleans sooner, visited sooner and shown more empathy. Bill Clinton, who famously claimed during the 1992 campaign "I feel your pain," was a natural at connecting with disaster victims. As president, he visited Des Moines, Iowa, the next year to examine flood damage in the region. He shook hands with people who had lost their homes as well as National Guard troops. During a visit to a water distribution center, a woman can be heard in footage preserved by C-SPAN telling him, "My house was flooded." "I'm so sorry," Clinton replied. A weeping woman in pink with a blue small cooler in her hand told Clinton, "My parents lost their home and I have not been home for like a week. I can't take it anymore." He draped an arm around her and said, "Hang in there."